There's all sorts of celebrity nonsense in the news at the moment, what with Zoella dying her hair grey like a granny, a Harry Styles lookalike that almost made Twitter explode, and festival tents made of nothing other than bits of cardboard. And then there's the most hilarious name for a boat ever - never to be beaten, colouring-in books and pencils selling like hot cakes, and what's all this about men putting flowers in their beards for decoration?! It all sounds a bit weird to me, but then what do I know I guess! 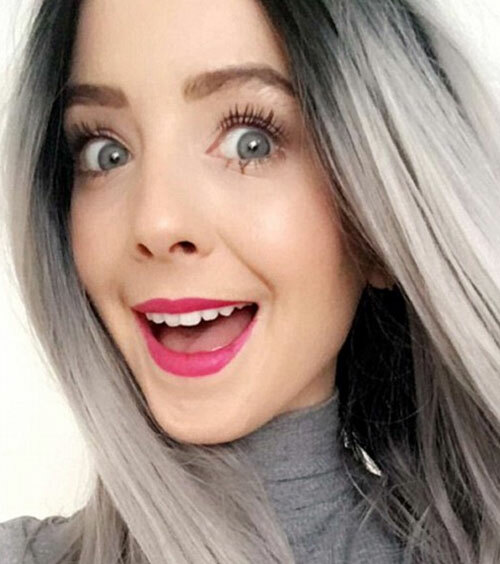 Famous vlogger and blogger Zoella (Zoe Sugg) has just revealed a very brave and on-trend new look for herself, after posting a selfie picture on her Twitter account with silver grey hair. Described as being a 'chic granny' hairstyle, Zoella matched her silver hair with a grey polo-neck top, and in fairness, the photo was excellent. As for the actual grey hair colour itself, I'm not really so sure that grey is the right colour for any girl in her early twenties, let alone Zoella. And the very confusing part is that she has just had it cut much shorter, and yet in the new grey hair selfie, her hair appears much longer. So, is it perhaps a very good quality wig, some PhotoShop magic, or hair extensions maybe?! 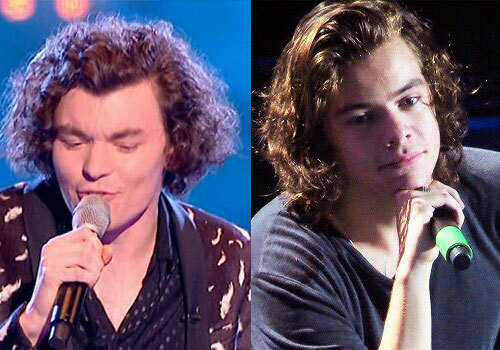 Twitter almost went into meltdown this week when a contestant on The Voice (the UK version of the show) appeared on our screens looking a little bit like Harry Styles. Thousands of people started tweeting about wannabe pop star Tom Rickles, claiming that this lookalike singer was nothing short of a dead ringer for Harry, although when it came to actually singing, Tom was not able to impress his mentor, Black Eyed Peas founder and member Will.i.am. I'm not so sure that he does look much like Harry Styles myself, what do you think? 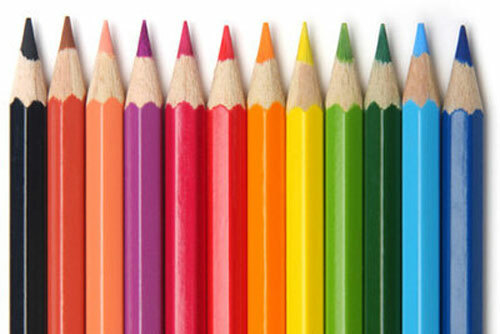 The latest trend for adults has been announced as 'colouring in', with many people choosing to get out their colouring-in books and pencils rather than playing a game or two on their iPad or computer, since it is thought to be something of a stress reliever. This new hobby has already had a major impact on art shops around the UK, which have started to run out of supplies, while pencil making factories are now ramping up production to keep up with this influx in demand. In fact, colouring-in books for grown-ups have just been described by industry experts as being nothing short of a publishing sensation! Putting up tents at festivals can be a real pain and the best tents are often rather expensive. 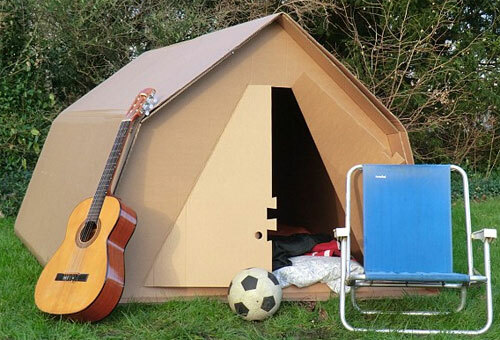 Some enterprising university graduates have given this issue a great deal of thought and come up with what they consider to be an excellent solution, by inventing a cardboard tent - yes that's right, a tent made out of actual cardboard, with a suggested retail price of just £40. On the surface, this idea seems fine and dandy, but there are no windows and what happens if it rains? The inventors have claimed that it is partially waterproof, but I'm not entirely sure that I would be confident with that claim if I took one to the notoriously wet and muddy Glastonbury pop festival. This is without question the funniest news story of the week, possibly even this year, possibly. 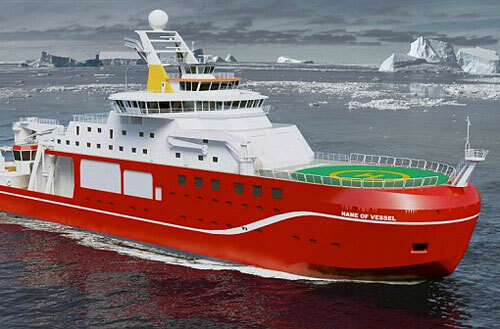 It all started when a new Royal Research Ship was being built and it was decided to ask members of the public to choose a name for this prestigious ship, via an online campaign where public votes would be counted and a winner decided. Suggestions came in thick and fast, with many choosing to honour important explorers and conservationists, such as Ralph Fiennes and David Attenborough. However, the names soon started to become more silly, with suggestions including Pingu (the cartoon Penguin) and simply Boat. In the end there was a very clear winner, with most people deciding that this important research ship should be named the RSS Boaty McBoatface! We all know that women often put a flower or two in their hair, particularly on a lovely summer's day, perhaps tucking a big daisy behind an ear. However, the new fashion for men is to put flowers in their beards, apparently. I have yet to actually see a man with flowers in his beard, walking down the street, but if I did, I'm not sure that I'd be able to keep a straight face. Still, I suppose that it is one way for guys to publicly embrace their feminine side. 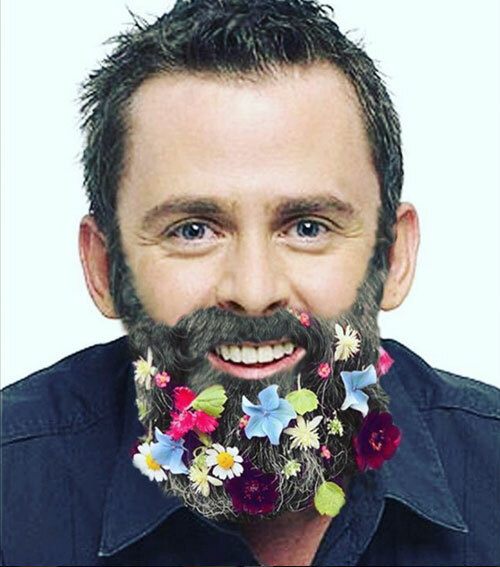 I saw this hilarious PhotoShopped picture of Radio 1 DJ Scott Mills with a pretend beard covered in flowers, and so I thought that I would share it here.